Nowadays, Wifi is becoming the lowest cost, widely used, and globally united wireless internet access technology. This USB Wifi module is mainly designed for Cubieboard1 and Cubieboard2 open source development board from CubieTech Limited. 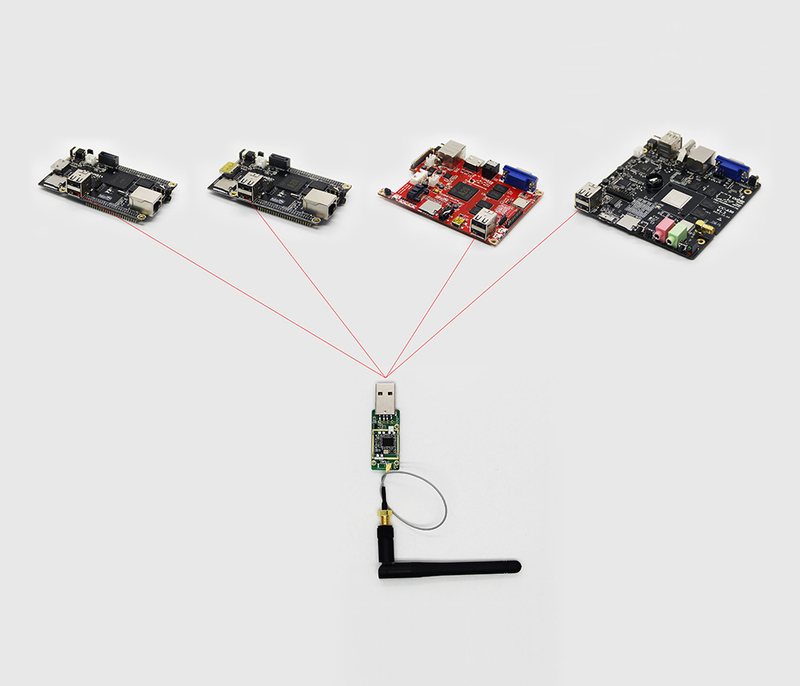 Because CB1 and CB2 have no Wifi circuits on the board, but most of the customers would like to access network via Wifi, so that we decided to make a very low cost and flexible Wifi module for CubieBoards users. 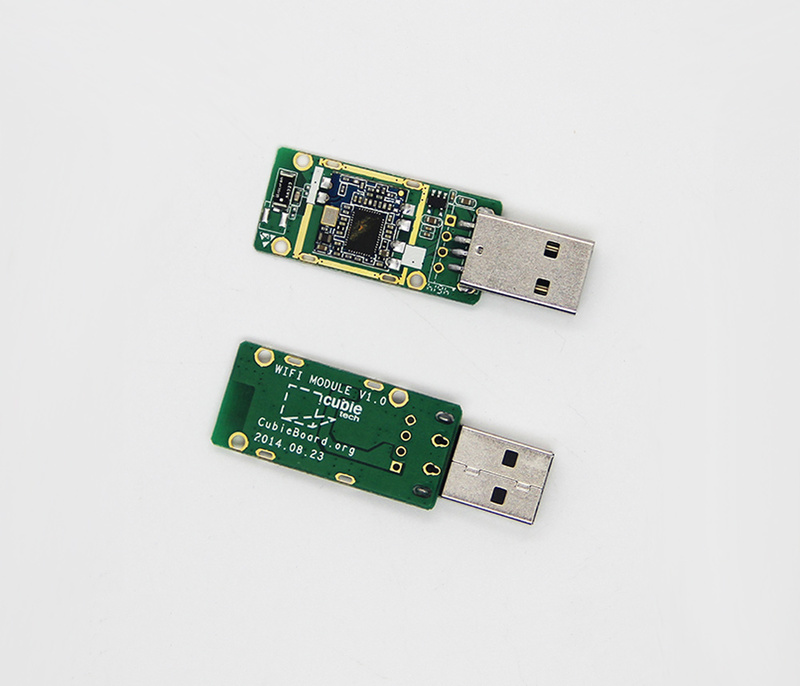 This Wifi module adopts standard USB interface, so it can be plug and play with CubieBoard. 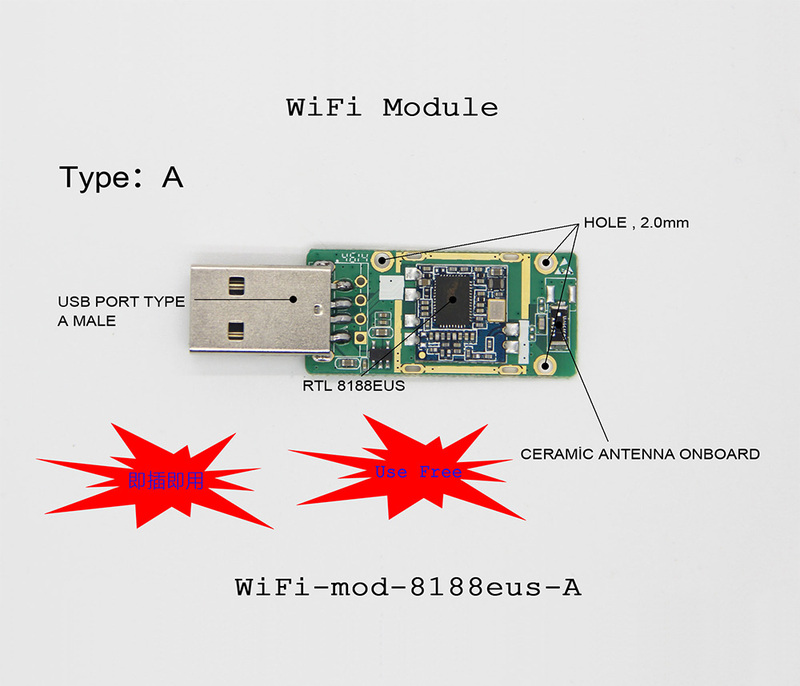 If you want to install finished products with this Wifi module, the USB male connector can be replaced by a 4 pins header which is easy to connect wires. 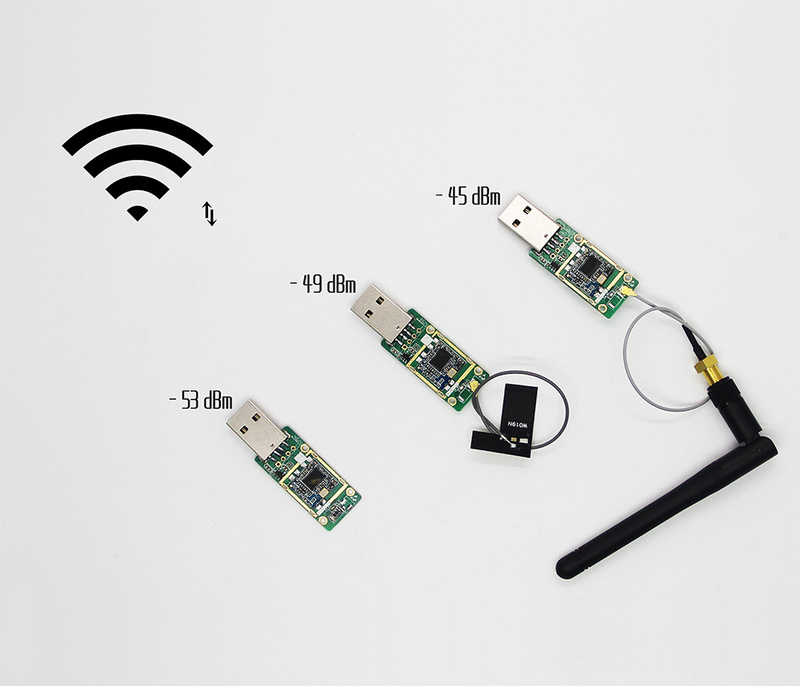 And the Wifi antenna is also can be customized. 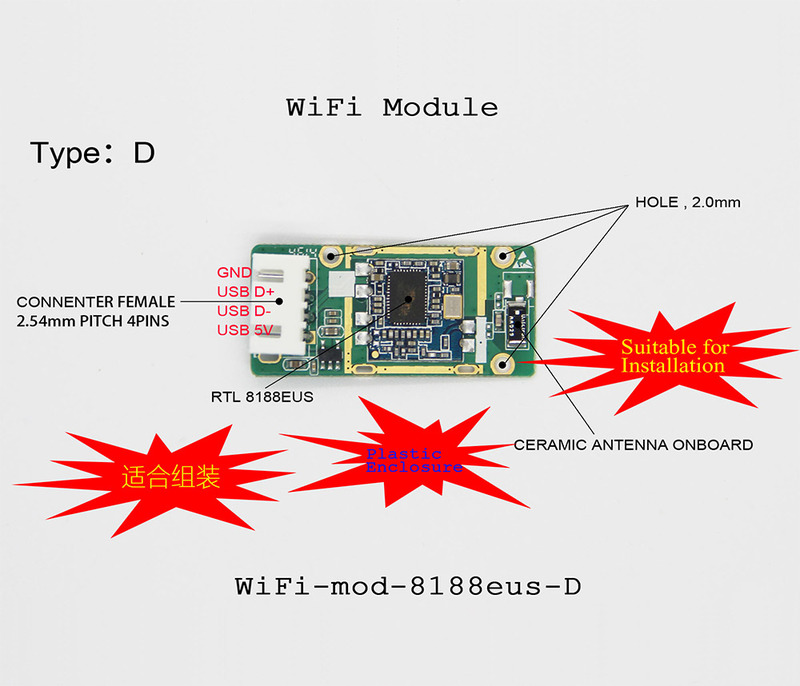 If this module is used within the plastic enclosure, the ceramic antenna and PFC antenna is OK. But if it’s used within the metallic case, we usually need to use the external antenna. 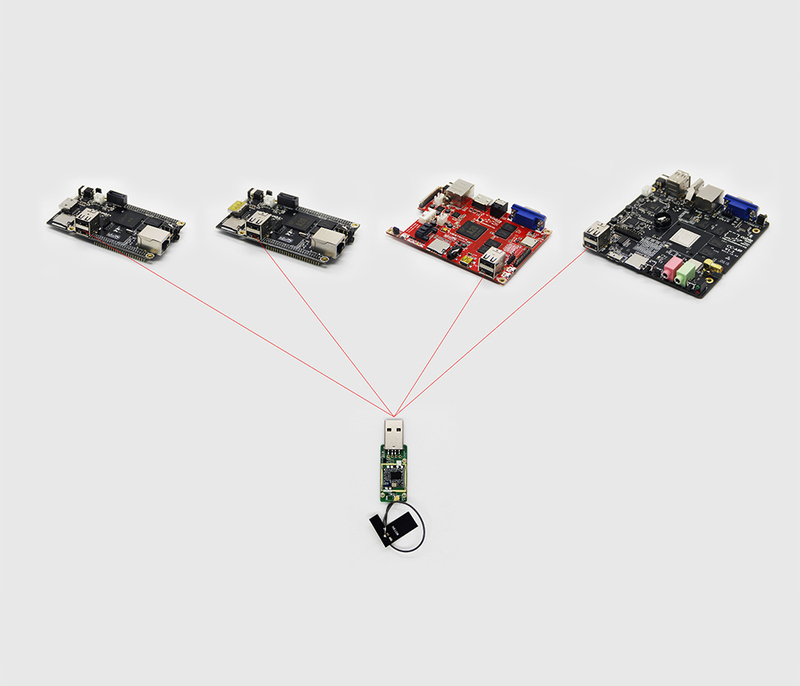 And more, this module also support 3.3 Volts power, but the default power configuration is 5 Volts power supply, a little hardware option modification is need if need to power by 3.3 Volts. 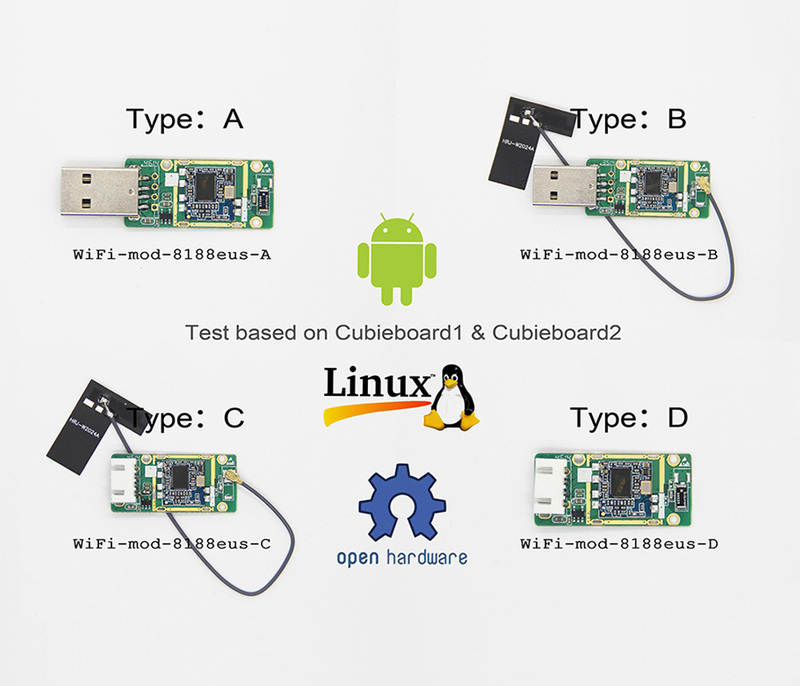 CubieTech’s USB Wifi Module is a open source accessory for CubieBoard1 and CubieBoard2, but it can also used with other open source hardware. It’s a customizable product, can be used in the development stage, but also applied directly to the final product. 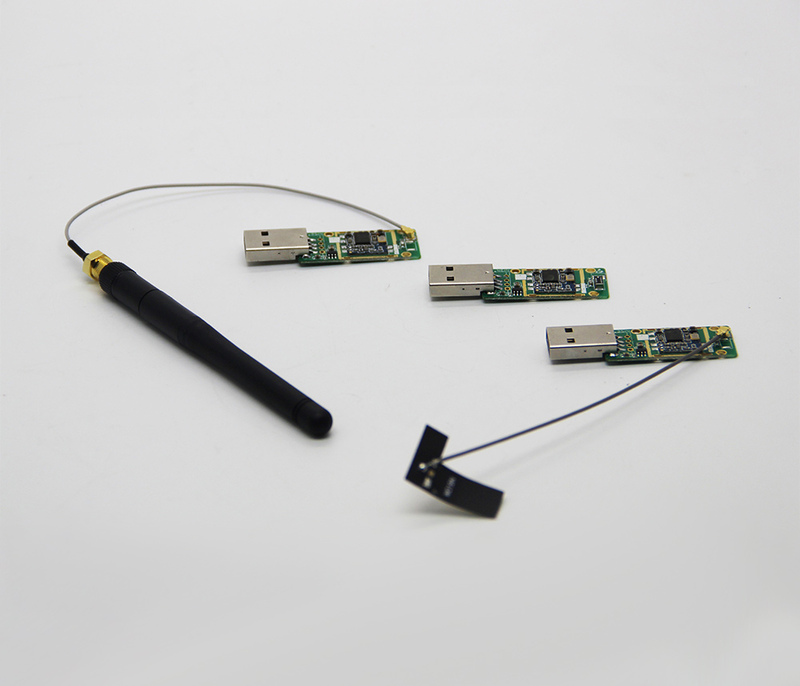 We can easily do some customizations in signal connector, antenna and the power circuit. 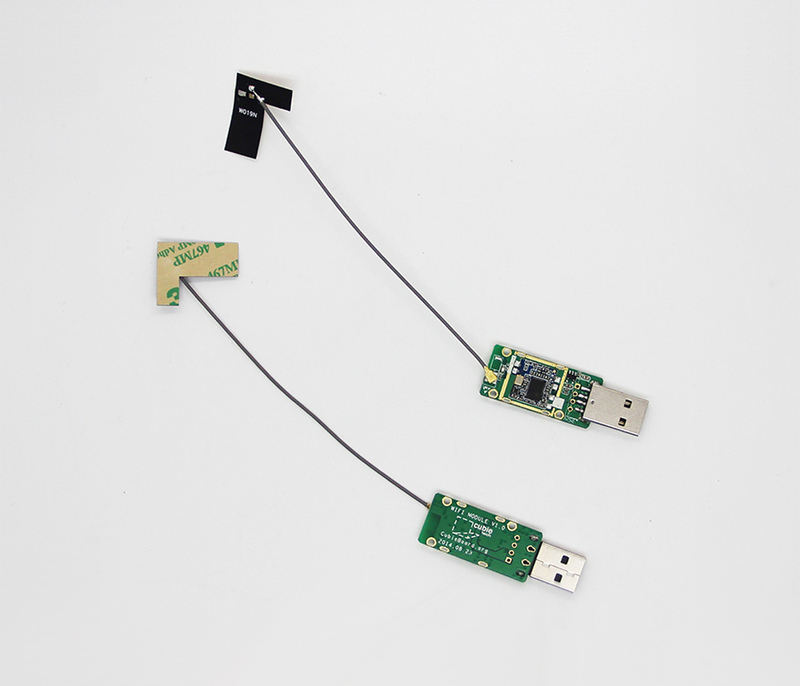 In the signal connector aspect, you may choose USB type A port for the plug and play occasions, you may choose 2.54 mm pitch female connector for the assembly application. 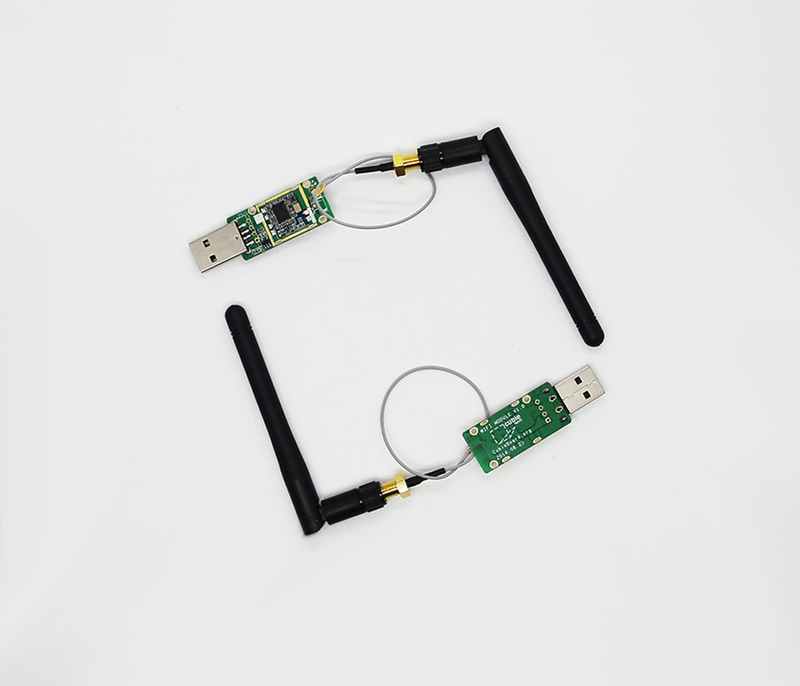 In the antenna aspect, you may choose the ceramic antenna if you want to diy; and you may choose the FPC antenna if you have a plastic enclosure; you may choose the extended telescopic antenna if you have a metal enclosure. In the power circuit aspect, the 3.3V and 5V power are both OK to power it. 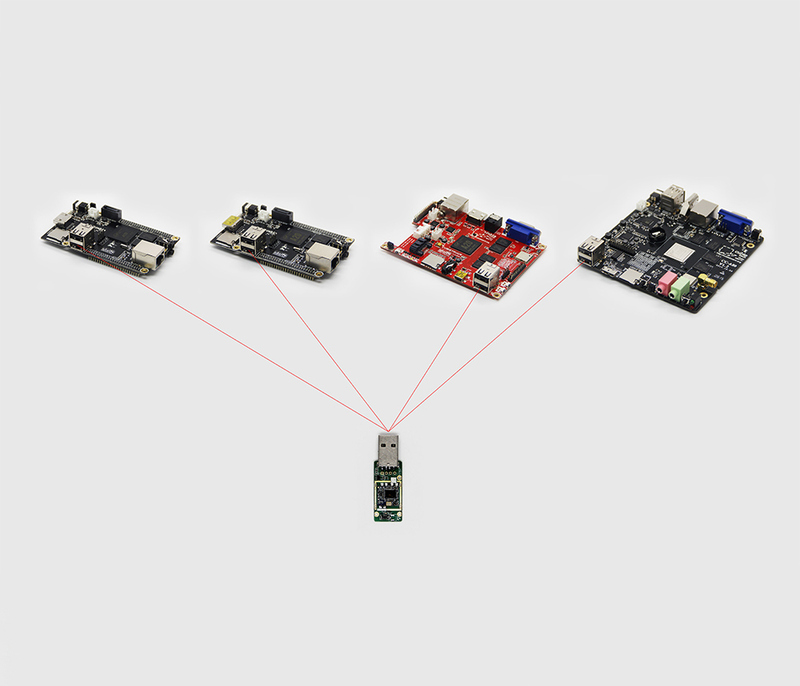 This option depend on the main board’s detailed power supply situations. 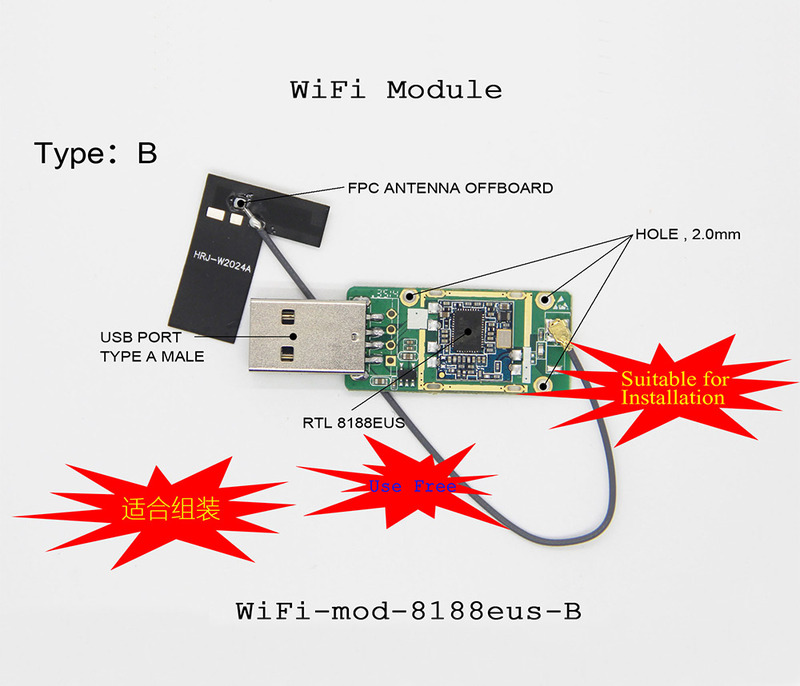 So CubieTech’s USB Wifi Module is very suitable for the DIY market, the several combinations will meet your requirements very well.